Boris reveals London's electric capital | What Car? London Mayor Boris Johnson has revealed plans to make London the 'electric car capital of Europe'. The Mayor's scheme includes the installation of 1300 electric vehicle charging points throughout London. 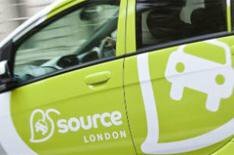 He confirmed the charging network, named Source London, should be operational by 2013. However, the 1300 charging points are a long way short of the Mayor's original plans for 25,000 installations by 2015. The Source London project will be designed to create a 'single visual identity' for the charging network and will be available to motorists for an annual membership fee of 'no more than 100'. Transport for London will offer the 'Source' brand to other UK cities that want to create a similar scheme. Find out more information at www.sourcelondon.net.